Spring has finally made its grand entrance to Minneapolis and we are thrilled it has arrived! Despite the fact that winter was rather prolonged in Minnesota this year, the trees are finally blooming and the grass has greened nicely. With the highly appreciated season change, we headed to downtown Minneapolis for Krissy and Ricky's engagement portraits! 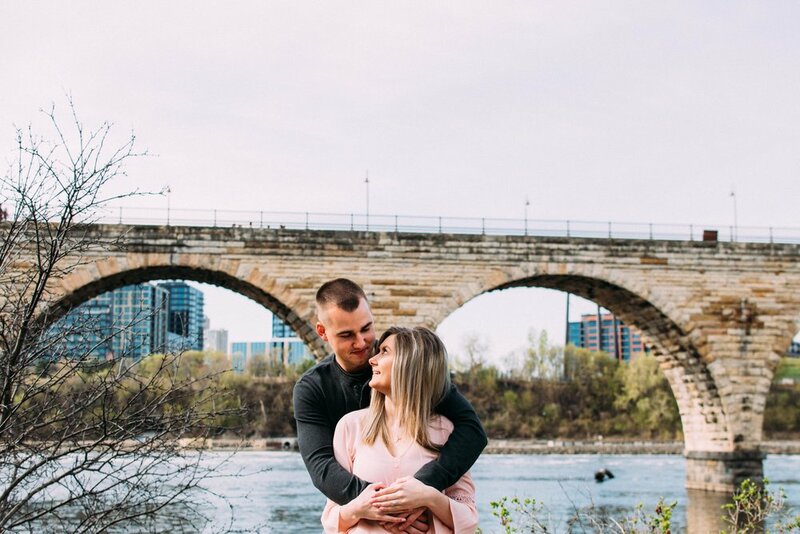 Stone Arch Bridge has made its appearance in previous engagement sessions on our blog, but this may be our favorite session their so far! We picked a far better time of day since Stone Arch Bridge gets rather busy (especially now that the nice weather is here). We also managed to get a great mix of beautiful morning sun and some overcast skies which gave some nice variety to Krissy and Ricky's portraits. After portraits up on Stone Arch Bridge itself, we headed down to Father Hennepin Bluff Park at the base of the bridge. Some of our favorite trails are below the bridge and always offer a great adventure - even if it typically means combatting a large swarm of gnats. We're thankful to have couples that trust our vision for their portraits and to run through the bugs! Spring engagement portraits mean lovely pops of bright green and Krissy's pink blouse really helped create the perfect, dreamy spring engagement session in Minneapolis. As if Stone Arch Bridge doesn't already offer great variety of nature and urban - the streets nearby the bridge help enhance the urban vibes even more! 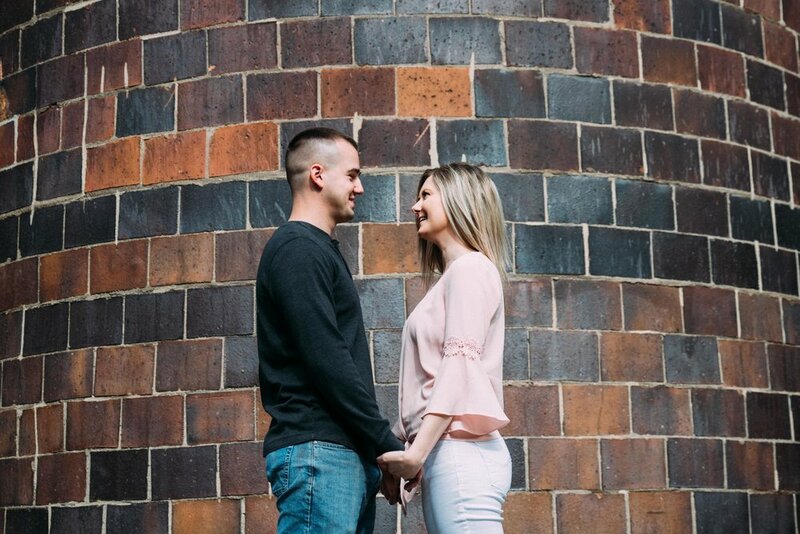 Krissy and Ricky, we are genuinely so excited for your October wedding!